Tonight, be part of history. City Council will be voting on whether to accept or reject $16 million to restore a vibrant, Fulton Main Street. We STRONGLY encourage you to attend to speak up for Fulton Street. Each person gets 1 minute and a half to speak. We made it easy: Pick just one talking point below and use that. We need your voice to be heard, even if you just say, “YES, I support Fulton Main Street.” There is no guarantee that we already have the votes needed. This is one of the most important infrastructure projects Fresno has in its future and it’s fully funded already. Imagine a main street with wide sidewalks, 15-20 mph vehicular traffic, crosswalks, outdoor dining, more trees than exist now, prominently displayed and lighted artwork, wayfinding signage, lights, restored historic buildings and occupied storefronts. We need you to speak up to get this public project approved, which will spur investment in such a beloved, historical center of commerce, culture, identity and art! Need some talking points on Option 1? Fulton Mall is currently operating at 6% of its economic potential. The Fulton Mall has a 70% vacancy rate. Our historic buildings need investment. Opening Fulton to traffic will bring 146% increase in economic vitality. Option 1 Main Street: Projected to bring in $80 million in annual sales. Investors are waiting: they want to invest in historic buildings with a main street. U.S. pedestrian malls are models of failure and fail about 90% of the time. 170 of the 200 been reopened to traffic. Of the 10-15 successful pedestrian malls, there are very specific indicators of success that Fresno does not have, i.e. university, beach, small population. 90% of cities that remove malls see immediate, significant investments and increases in occupancy. 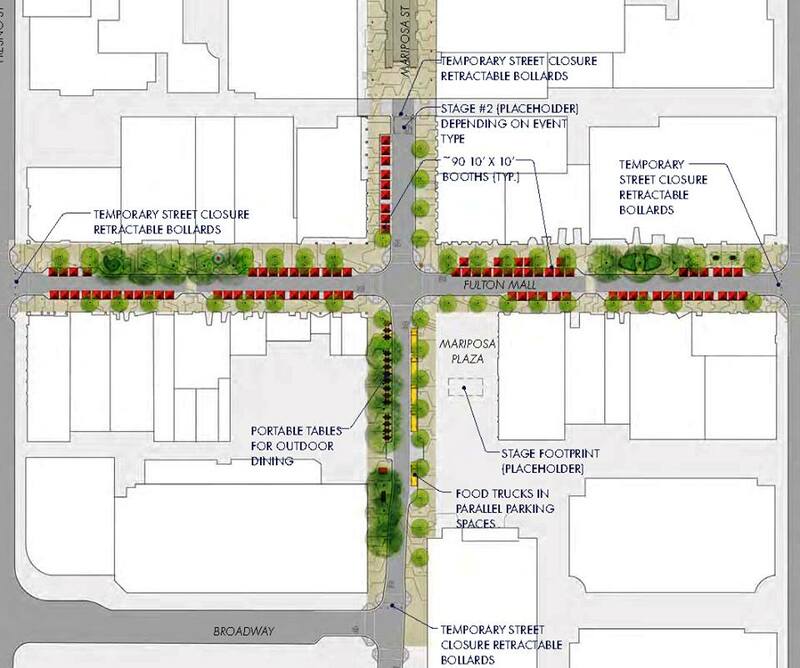 Option 1 calls for a complete, main street with multi-modal elements for all users, streetscaping design elements and traffic calming measures. Option 1 includes a 28-foot wide promenade on the east side and 10-foot sidewalks on the west side of the street! Fulton will be better designed for events under Option 1 with features such as retractable bollards, updated power sources, and plazas. Option 1 will have 154 trees, a 10% increase in trees. Option 1 honors art with $774,800 to restore the sculptures, mosaic tile benches. The Downtown property owners and the majority of businesses on Fulton support reopening Fulton Main Street. A vibrant main street will benefit the economy of the entire Central Valley. Great cities have great downtowns. 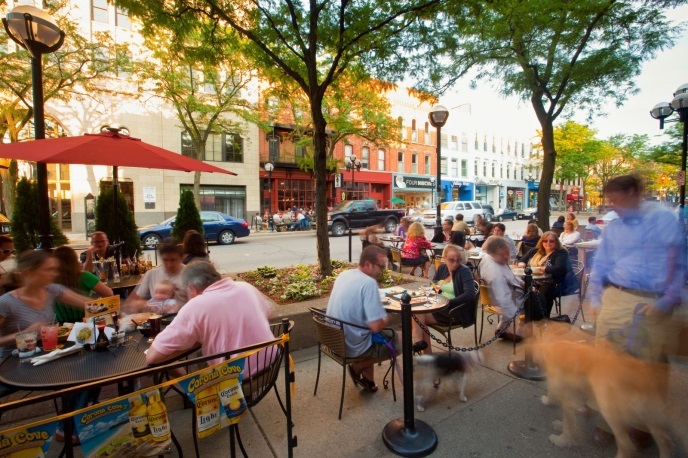 Great downtowns have great main streets. Oh yeah, the project is FULLY FUNDED with no local tax dollars needed. To Know a Downtowner: The Great Kate McKnight!